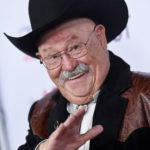 Leonard Barrie Corbin, known as Barry Corbin is an American actor with more than 100 film, television, and video game credits. "For an actor, you’re rejected eight or ten times a day. All you’ve got to sell is yourself. You’re not selling products, they’re not turning down a car, they’re turning you down. Most people can’t handle that. Most people are essentially not set up that way."